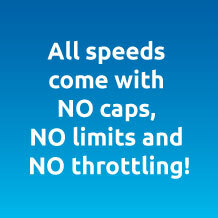 Unlike many of other internet services providers, we do not have data caps. Stream, game, and download as much as you please. 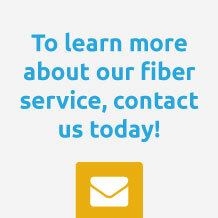 Fiber is the future of communications technology. Fiber optic cable contains strands of optically pure glass, thinner than a human hair, which carry digital information over long distances. Digital signals are sent as pulses of light down the glass fibers, without interference or limitation. 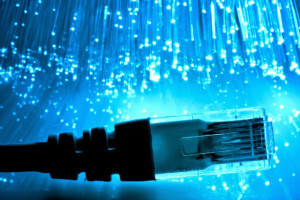 Your home is thus connected using the most advanced communications technology currently available: Fiber Optic Cable. Faster, Clearer, & More Reliable. This is the most advanced method on the planet to deliver high-speed Internet. Fiber is a great economic leveler for rural and suburban residents. Your home will have the same advanced connectivity as the most high-tech building in any major financial district in the world. Imagine a world where you can stream HD video to as many devices simultaneously as you want to without any buffering. Imagine a world where your Internet service never goes down, and you never have to waste time calling tech support. This perfect connection can be yours with fiber optic cable. The fiber line running to your home from the main cable contains just a few strands of fiber, but those strands could theoretically carry all the information in the Western USA. Fiber-optic cable carries an all-digital signal, and is better suited to today’s digital communication devices. Fiber optics are the future of communications, because both copper and wireless will eventually max out on the bandwidth people will require. Eventually, all media will be delivered as Internet data. You’ll be one step ahead of the game. PMT is southern Idaho’s premiere Fiber Optic High Speed Internet provider. We are currently expanding our fiber network within the City of Rupert. If you are in this area, and would like PMT Fiber, please fill the form, we’ll be sure to place a dedicated fiber line directly to you. Click here to learn more about Fiber.